It is with excitement that the South Adelaide Football Club and The Vines Golf Club of Reynella announce a new partnership for season 2017. With both organisations being the envy of their peers in their respective sports south of Adelaide, the relationship is a perfect match and both clubs look forward to working together in the coming years. The Vines provides an outstanding facility where South Adelaide players, officials and members can take a well-earned break from football either on the course or enjoying the hospitality of the Club. 2017 Panthers Members will be able to enjoy $10 discount on green fees at The Vines. 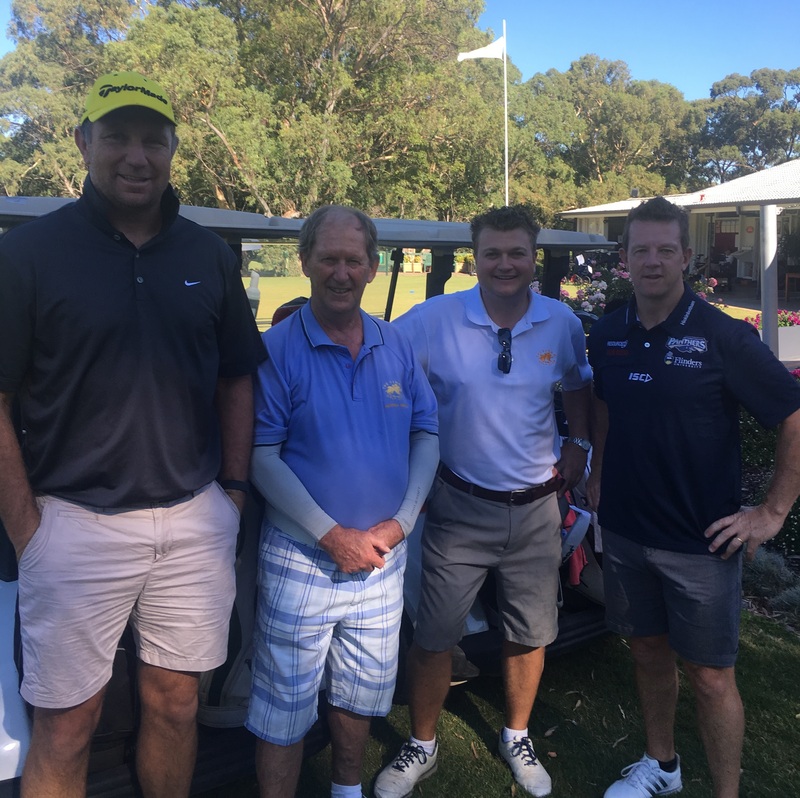 South Adelaide Senior Coach, Garry Hocking (far right) enjoying a round at The Vines Golf Club, with former Panthers and Port Adelaide star Brendon Lade (far left), SAFC Life Member Ian Threadgold (middle left) and The Vines Manager, Matt Chesterman (middle right). Meanwhile, The Vines members can look forward to some match day opportunities and the continued success of South Adelaide in the SANFL this year. Vines members will also be welcome to enjoy the hospitality of South Adelaide's bistro, Jimmy Deane's and 20% off food and beverage*. The Vines also looks forward to hosting both the SAFC Players Golf Day in the coming months and SAFC Sponsors & Supporters Day later in the year. Both The Vines and South Adelaide are looking forward to a great year for players and members alike. To sign up as a 2017 Panthers Member head to safc.com.au/membership or call 1300 234 851 and for Membership at The Vines head to vinesofreynella.com.au/membership or call (08) 8381 1822.